Sure, you probably know the basic ingredients in your fast food lunch — chicken or beef, lettuce and tomato, whathaveyou — after all, you’re the one who ordered it. But if you, like many consumers, care whether or not those ingredients include genetically modified organisms (GMOs), the ingredient list usually is no help. 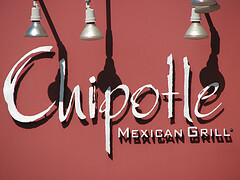 Chipotle announced that it will now mark those ingredients on its website for discerning consumers. While there’s still a lot of debate over whether or not its unhealthy to grow and consume GMOs, environmental and consumer advocates have been pushing for change in how such information is presented to consumers. paying more for the same GMOs?